Last year, after the HTC One X was launched, the 1800mAh capacity of the battery was immediately criticized as being too light to run such a high-end model. So right away the rumor mill started spinning in full force, with speculation that HTC would soon offer a device called the HTC One X+ with a higher battery capacity. In addition, since the original HTC One X for AT&T had to use a dual-core processor (at the time, the quad-core Tegra 3 processor did not support LTE), an updated device would also include a new quad-core chip that supports LTE connectivity. Of course, the HTC One X+ was born and those who had purchased the earlier non-plus model had to feel a little snake-bit. After all, they were locked into the older device for two years. With that in mind, HTC wanted to make sure that those interested in buying the upcoming HTC One don't hold off on making the purchase because they are worried that a better model will be available shortly after the phone is released. It was less than 8 months between the time that the AT&T One X was launched and the AT&T One X + was available. But there will be no repeat of that with the HTC One. 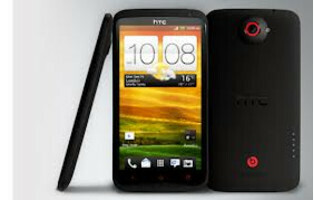 HTC's Phil Roberson says that there will be only one HTC flagship Android phone for 2013 and that is the HTC One. This will not only allow buyers to purchase the phone without fear that it will be obsolete quicker than usual, but it also allows HTC to focus its marketing on one flagship device across all U.S. carriers. This is what Samsung has successfully done with the Samsung Galaxy S III and it has worked wonders for them. hahaha!! they already Lose with this one!!! cus samsung and its fans wonder of this one.. its not important.. its great years for htc and htc`s fans.. welcome to success year.. htc will back to peak of sales. good job and best decision.. i wating for one in march. I also want htc to be one of the top manufacturers. Because HTC is losing on ~25% of U.S. cellular subscribers by not offering the One on VZW? its easy! sales is going down, still no update with the sales of Droid DNA & butterfly, they dont even help HTC pull on Q4 2012. HTC One is very good but it dont have a stand out to other company. No matter what Ultra Pixel they have, people will choose next Lumia No matter how strong it build, people will choose Xperia Z No matter how fast is it, people are still blind will Sammy S4 No matter how cost it is, people still buy iphone 5 No matter how nothing it has to offer, people is thinking twice with LG. Its hard to compete Now with nothing to offer both paper and reality!! oooo plz stop my friend!! r u say a joke?? -lumia maybe has a better camera but maybe that isnt great option like slow motion..altogether exept camera one smock it in all around .. correct? -xperia z ? ?www collection of fault..sh``ti display ..weak camera in level 8mp..weak sound in comparison with one..low battery (li-ion is not good as li-po) -s4 ..well..its all around exept plastic body and not good as one screen and sound.. -iphone 5?? ?very weak and scrachable body..dont u read about its problems?? -lg?? ?dont speak about it when there is htc, samsung and ... in overall one is a collection of best build quaility and spc since now if s4 can change this matter. Who said lumia has the better camera. One has better camera than lumia. But nokia trolls won't accept it. what about a mid range device with the same camera? If you want a lower cost device, buy last years model, that's how how apple does it, so why not htc? They also said that they would cut down on handsets and concentrate on the premiumhandsets. They totally failed with that. Let's hope they keep their word this time. Here's hoping they support it past one year. they re did htc sense specifically for the one. Wish they supported my device too though. But i think this is a new start for them.. Honestly i dont believe this. 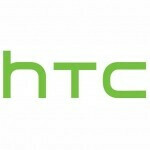 HTC One for entire year of 2013? Dont kid me. We've all heard this before. I'll believe it in the beginning of 2014 when they haven't dropped a One +, Omega One, True One, Real One, Only One, Next One, Another One, One More, or the very confusing, One Two yet. Unfortunately it doesn't even look like VZW is getting "THE" One! VZW is king of NOT getting the next big thing... The Note 1, GS2, 920, Evo, nor the OG iPhone! And now that they've screwed up the Galaxy Nexus, they've proven themselves completly incapable of pleasing their customers. Well, maybe some customers but right now, the only thing saving VZW is their coverage. If the others catch up and they main the restrictive, bloatware adding, price gouging, data sharing, "F**k you, pay me!" style business they seem to be acting like these days, they'll see huge shift in their churn. Starting with all the disgruntle unlimited data customers. Way to go HTC! It's a step in the right direction. am i the only one who hates built in batteries? and is there a positive side ? because i know plenty of negatives and i think with htcs battery reputaion it might not be the best idea.